The Huichol or Wixáritari are an indigenous ethnic group of western central Mexico, living in the Sierra Madre Occidental range in the Mexican states of Nayarit, Jalisco, Zacatecas, and Durango. They are best known to the larger world as the Huichol, however, they refer to themselves as Wixáritari ("the people") in their native Huichol language. The adjectival form of Wixáritari and name for their own language is Wixárika. The three main Huichol communities belong to the municipality of Mezquitic, Jalisco and are called San Sebastián Teponohuastlan (Wautüa in Huichol), Santa María Cuexcomatitlán (Tuapuri in Huichol) and San Andrés Cohamiata (Tatei Kié in Huichol). The most commonly accepted theory regarding the origin of Wixárika is that they come from the region of San Luis Potosí and that before their migration to the Bolaños Canyon region, they considered themselves part of the Guachichil ethnic group. Central to the traditional religion of the Wixárika is the gathering of hikuri (or peyote, a hallucinogenic cactus) in the place that they call Wirikuta, that is located in the region of Real de Catorce in the state of Potosí San Luis. Hikuri does not grow in the region of Wixárika, but it is abundant in San Luis Potosí, territory that was at the center of the dominion of the Guachichiles before the arrival of the Spaniards. The Wixaritari are relatively well-known among anthropologists for their long tradition of rejecting Catholic influences over their cultures and practices. Indeed, Wixaritari, along with the Lacandons and other ethnic minorities in the country, have fought for their religious and cultural freedom since the arrival of the Spanish conquerors. 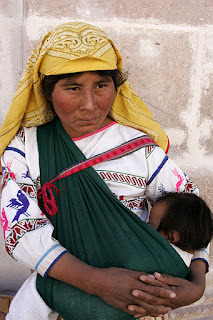 These ethnic minorities are often portrayed as non-existent or as extremely marginal due to the stereotype of indigenous people in Mexico as fervent Roman Catholics. Like many indigenous American groups, Huichols have traditionally used the peyote (Lophophora williamsii or hikuri) cactus in religious rituals. Huichol practices seem to reflect pre-Columbian practices particularly accurately. These rituals involve singing, weeping, and contact with ancestor spirits. "It is Wirikuta, where the Huichol go each year to collect peyote." "Before reaching Wirikuta, their final destination, they pass by the sacred springs of Tatéi Matiniéri ("Where Our Mother Lives"), the house of the eastern rain goddess. They cross steppes. The first one is the Cloud Gate; the second, Where the Clouds Open." Huichols have traditionally believed that in rituals they interact with the primal ancestor spirits of fire, deer, and other elements of the natural world. "A newborn, separated from its umbilical cord, will still have ... the agave plant where the cord was buried. When children grow up they need to obtain cuttings from their protector so that they can bury their children's umbilical cords under them". The Huichol keep the souls of ancestors who have returned to the world in the shape of rock crystals." Their religion consists of four principal deities, the trinity of Corn, Blue Deer and Peyote, and the eagle, all descended from their Sun God, "Tao Jreeku". Most Huichols retain the traditional beliefs and are resistant to change.